For the 2018-2019 season we are trialing a new ticket system which includes early bird tickets at a discounted price. 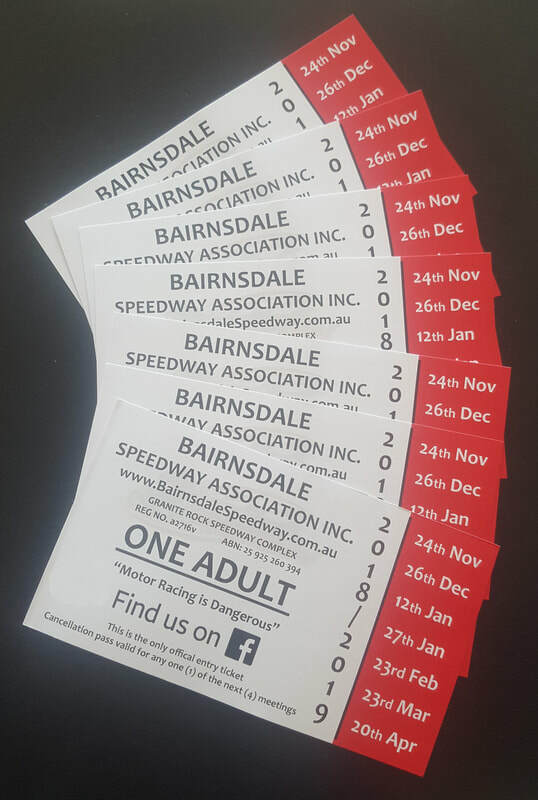 We are selling these tickets in sets of 7 for $110 and as we have 7 race meets it's like having a season pass but you can use all 7 tickets on one night or spread them over the season. 2 Early Bird tickets can be used as a family ticket. 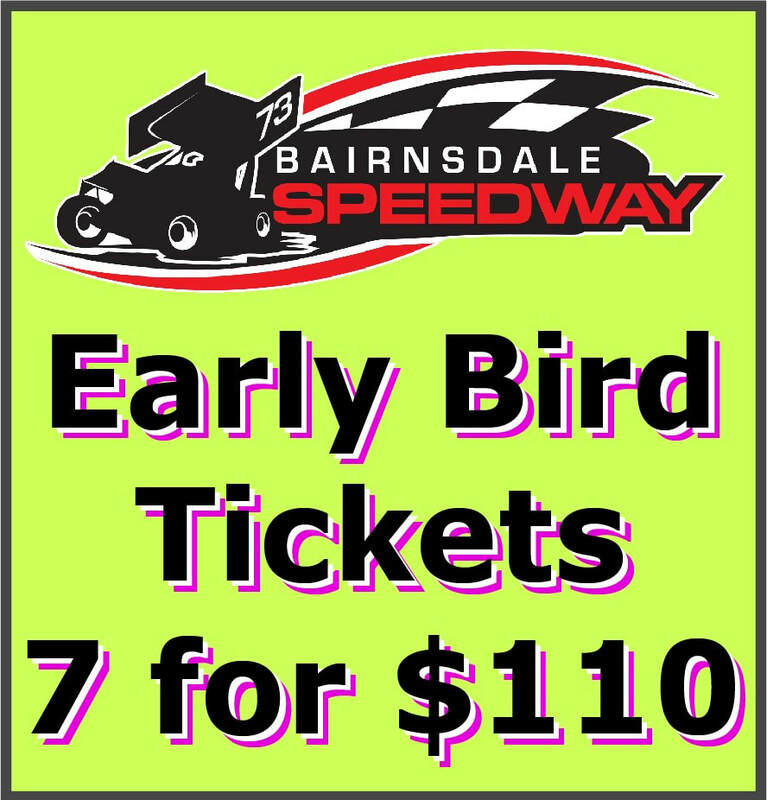 You can also attend the Bairnsdale Speedway for free by becoming a volunteer. Use the form below to order your tickets and you will be sent payment instructions, once your payment has cleared your tickets will be posted out or a local pickup arranged. Early Bird Tickets are limited in number and will only be sold up until Nov 23rd 2018.